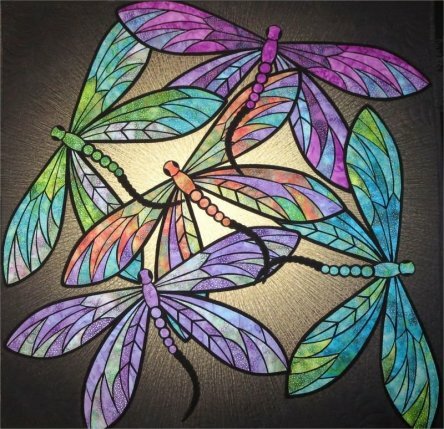 The beautiful Modern Dragonfly kits have arrived in stock which include the digitally printed Hoffman Super Nova panel (background), 2m plain black fabric, full pattern and 13 fat quarters of the original fabrics to give you all the wonderful colours you need to create those gorgeous dragonflies. They are on the website here and are $165.00 plus postage. 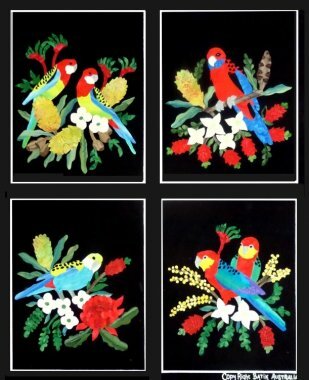 The latest Applique by Numbers kits are also in stock and you can find them here. 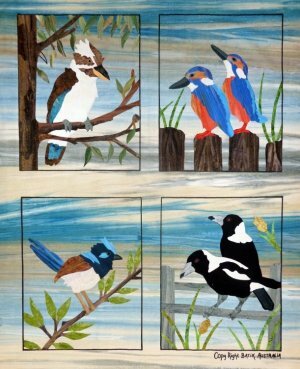 These are all Australian birds and a beautiful underwater reef scene. 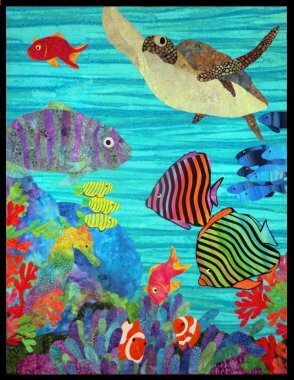 All panels are approximately 1m x .8m and include all the fabrics, instructions and pattern to complete the quilt. Well, as they say, all good things must come to an end. Lotus Fabrics is at a stage where it needs to be in a shop with full access to all customers, and others! Because of other endeavours, I am not able to take this wonderful business to that next stage on my own. However, all my fabrics will be available in the new Thorpe & Co Sewing Machines shop in Boolaroo. I will remain open in Bolwarra until the move, so still a few weeks for you to come here. For those of you who have ongoing projects with me, I will not be leaving you! Classes will still go ahead here until the move and they will then be held at Thorpes. Thank you all for your support over the last 6 years. So looking forward to the next chapter!